Coming up with our company name was actually a long process and a lot harder than we thought it would be. Initially, my husband and I brainstormed different ideas. I felt strongly about the name relating to nature, health and beauty. The first words to consider on my list were green, pure, well and element. At one point I combined words and came up with Greenwell, but it just didn’t have a good ring to it. My heart was then set on Element. It’s such a cool sounding word and it just flows off the tongue. But that word on its own was already a name for other companies, so I looked for words to go with it. It didn’t take me long to realize I wanted to incorporate “blue” into the name. Blue is a favorite color of mine. I love not just one kind of blue, but all of the different ocean blues. Also, my daughter’s middle name is Blue. What an awesome way to honor her by including her in the name. Unfortunately, combining “element” and “blue” was not a unique idea. ElementBlue and BlueElement were already taken. At this point, I was at a loss, and then I talked to my sister. 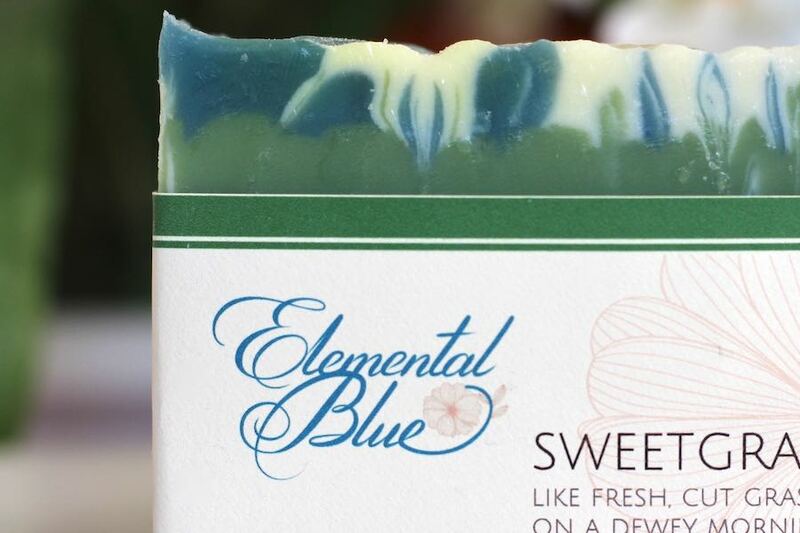 She suggested making one small tweak, and then we finally had it: Elemental Blue. Adding two letters to the end of the word, Element, actually addressed what I was looking for in a name. Elemental means embodying the powers of nature, which directly relates to the moisturizing and healing benefits of my products thanks to the natural oils and other ingredients I use when making them.